Critically Acclaimed: William Bibbiani Ranks All The Theatrically-Released Stephen King Movies! William Bibbiani Ranks All The Theatrically-Released Stephen King Movies! Stephen King isn't just a prolific horror author, he's a cultural force, defining the nightmares and nostalgia for his readers all over the world. His work has been adapted to film and television for decades, and with remakes of King's classic film adaptations now dominating the box office, William Bibbiani is looking back at his many great theatrical releases... and also his many awful ones. 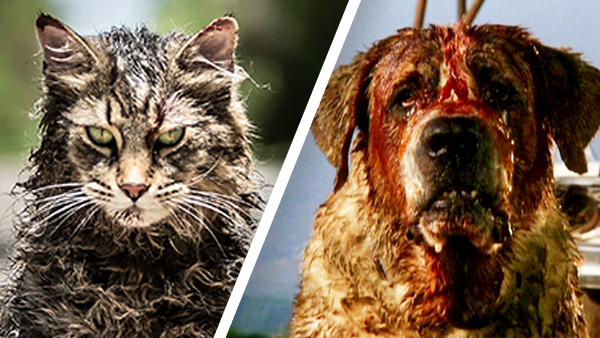 He's ranking all 41 of the official Stephen King movies (barring TV adaptations, serialized adaptations, and the many sequels which had nothing to do with his original work), up to and including the latest version of "Pet Sematary!" Read: William Bibbiani Ranks All the Stephen King Movies at The Wrap! Top Photos: Paramount / Warner Bros.